Attack 1 : Don't Piss Him Off. 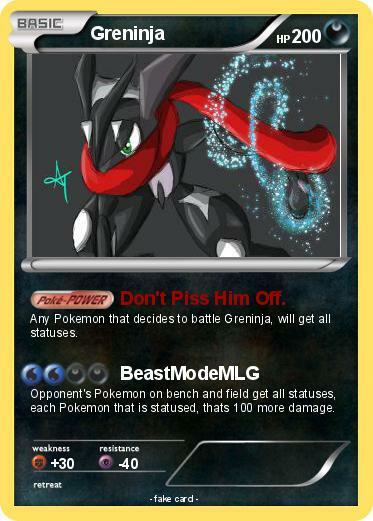 Any Pokemon that decides to battle Greninja, will get all statuses. Opponent's Pokemon on bench and field get all statuses, each Pokemon that is statused, thats 100 more damage.